This image is a 30sec. exposure. 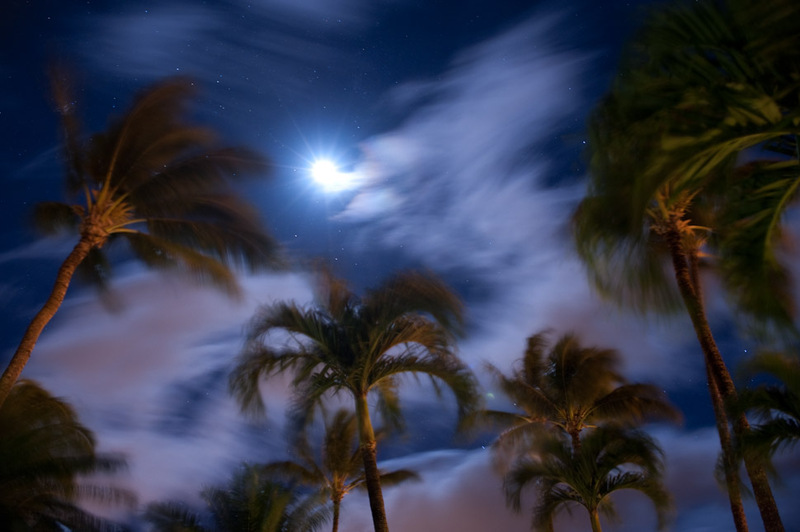 The moon is blurred by the passing clouds and the palm fronds are flickering in the wind. I also liked the added light coming in from the street lighting the bottoms of the palm fronds. These are really cool photos, Jeffrey! Sweeeeeeeet I was hoping you would post these images! So rad. nice!!! these look like paintings jeffrey!